Celebrated pianist Ivan Ilić will premiere a breathtaking new piece at St David’s Hall when he performs distinguished Welsh composer John Metcalf’s Chant next Tuesday (13 October) at 1pm. 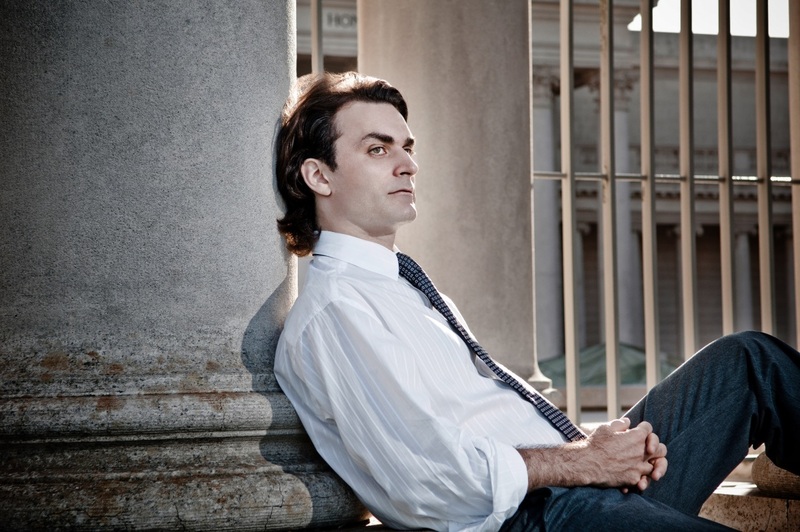 Elsewhere, the charismatic Serbian-American musician will deliver incredible renditions of Chopin and Scriabin. Educated in the United States and living in France since 2001, Ivan is a champion of the Welsh composer John Metcalf (whose 2014 opera based on Dylan Thomas’ Under Milkwood was widely praised by critics and audiences alike). Plus, Ivan now has the pleasure of airing the first public performance of Metcalf’s new work entitled Chant at the National Concert Hall of Wales. Their association began in 2007 with Ivan’s first Welsh tour which included John Metcalf’s little known Endless Song. Within a year Ivan and John’s paths crossed again when the Royal Welsh College of Music and Drama commissioned Metcalf to write a new piece, to be played by Ivan, entitled Appassionata. Plus, late last year John was commissioned to write a piece to mark the retirement of Nantwich NHS worker Marie McKavanagh, and that’s how Chant came about. Don’t miss this stunning Lunchtime Concert from Ivan Ilić at St David’s Hall – the perfect way to break up your day!